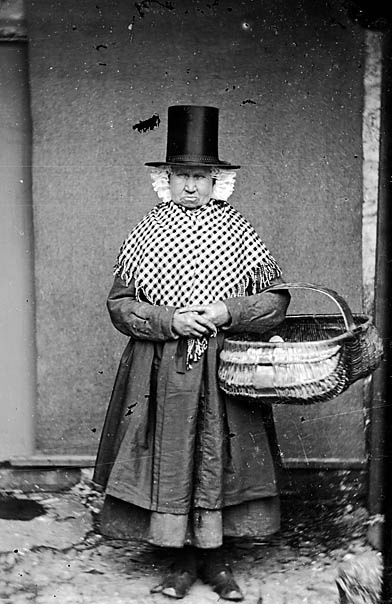 In the late eighteenth and early nineteenth centuries, before Augusta's time, it is believed that the idea of Welsh national costume was exaggerated for tourism purposes. Wales was a 'mysterious and beguiling land for the English traveller' and so staged photographs of the Welsh lady in national dress ('dressed-up' working dresses) were used to tempt the traveller to Wales. The outfits were in most cases costumes, often not owned by the wearer but leant by friends or family, even by the photographer, to create an image of national costume. 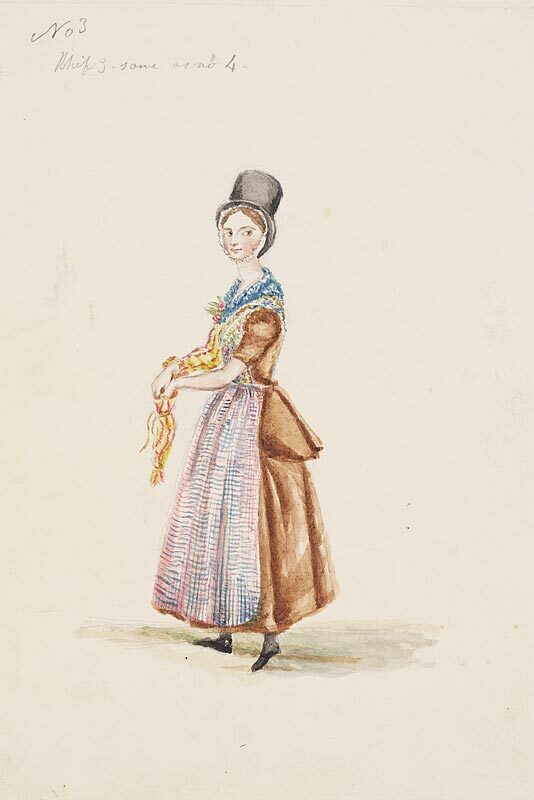 The Welsh working dress did not differ so much from the fashions of England, but was intentionally glamourised and romanticised for the benefit of attracting tourists. "Augusta was so excited by her idea of Welsh national dress that she required all her maids to wear it at work. She even built a woollen mill in the grounds of Llanofer house to produce the native cloth out of which the costume was made, giving a much needed boost to local Welsh industry." 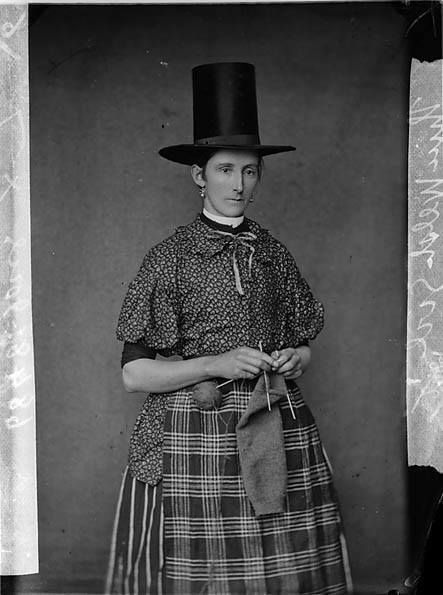 The ambitious attempt to nationalise her idea of Welsh costume went unfulfilled, but she did help elevate the country working costume to a higher status, which in turn became the perceived national costume of Wales. It is Augusta's dedication to the revival and promotion of Welsh culture and industry that made a lasting impact, thanks to the emphasis she put on the quality of Welsh woollen cloth. In Wales today, this same dedication to upholding Welsh tradition is echoed in the manufacturing of Welsh wool. Melin Teifi in West Wales continues to make the woollen shawl; preserving an iconic part of Welsh heritage that Augusta was devoted to celebrating. 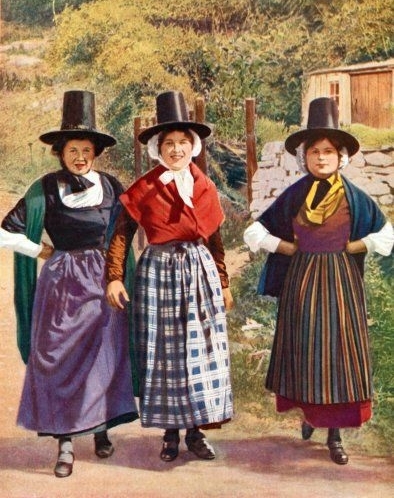 So on the 1st of March, children all over Wales will descend upon their schools dressed in tall black 'chimney hats', flannel shawls, woollen skirts and patterned waistcoats, and we are reminded that our age-old Welsh traditions fervently live on through the generations.